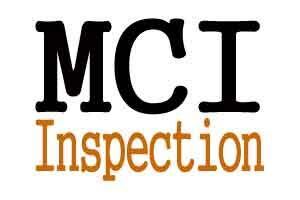 Andhra Pradesh: MCI inspection team consisting of four members recently made a surprise visit to the Andhra Medical College. The inspection team was led by Professor of Biochemistry of Bangalore Medical College H.L. Vishwanath, with an objective to check on undergraduate compliance verification at the college premise. The team is reported to have completed the due verification of the college facilities. This was supposed to be its last visit to the college to ensure that the AMC administration has complied with the MCI norms regarding the permission for renewal of 200 MBBS seats for the 2016-17 academic year. This is the fifth consecutive time AMC has applied for renewal of permission for intake of 200 students at the college. Principal of AMC S.V. Kumar is confident this time too that the college will be granted permission for admission of 200 seats. The principal further implied that during the course the deficiency such as lecture halls, examination halls, earlier pointed out by MCI has been corrected by the college administration. As reported by Hindu, other members of the team are Professor of Paediatrics from Uttar Pradesh N.C. Prajapati, Professor of Surgery from West Bengal Bebabrata Ray, and Professor of Pathology from Chhattisgarh Renuka Gahine. Principal of AMC S.V. Kumar expressed the confidence that the college would get the nod for admission of 200 students again as the MCI team seemed satisfied with the college correcting the deficiencies it has pointed out, like lecture halls, examination halls, etc. Along with Dr. Kumar, Vice-Principal N. Subba Rao, Professor of TB and Chest Diseases K.V.V. Vijaya Kumar and Assistant Principal P.V.S.S. Vijaya Babu and others have explained the facilities created by the college to meet the MCI requirements.